Don't Know Which Joint Supplements to Take? We Can Help. Home Supplements Don’t Know Which Joint Supplements to Take? We Can Help. Takeaway: If you are struggling with joint pains such as rheumatoid arthritis and osteoarthritis, there are joint health supplements that you can purchase or find them in the food you eat. These supplements have several functions for your joints such as maintaining and repairing damaged cartilages, alleviating joint pains, protecting cartilage, and reducing inflammation and stiffness. If you struggle with any form of joint conditions, this article provides information on the supplements to use. These days, due to many contributing factors, people are progressively adopting a physically inactive lifestyle. Surprisingly, this inactivity has led to joint-related problems which have become a primary health problem. When considering your overall health and the well-being of your joints, one of the essential requirements is taking on a nutritious diet. Such a diet should consist of low-fat foods such as vegetables, fruits, and grains. However, since merely adopting such a diet is not enough, you might need to look for proper supplements to keep your joints as healthy and functional as possible. You will need to know the appropriate supplements for joint health and what the correct amount required for overall joint health. Supplements for joint pain usually control inflammation, stiffness, and pain that occurs with common conditions such as rheumatoid arthritis and osteoarthritis. Supplements for overall joint health will prevent you from infection of these diseases. In some cases, especially the elderly where the natural body supplements production have decreased, these supplements will help to balance or maintain the natural levels required for proper functioning of the joints. What Are the Best Joint Supplements You Can Take? When you are looking for the best joint supplement to take, first consider choosing those with essential ingredients that your body requires for healthy joints. Usually, they are the supplements that your body produces naturally for joint health. Such supplements include glucosamine, hyaluronic acid, and chondroitin. These joint supplements provide the best available relief for joint pains and even lubricate the joints for their proper functioning. Glucosamine combined with chondroitin is the best match for strong supplements which contain the best joint pain treatment. Generally, you can buy these supplements over-the-counter with little difficulty since they are readily available. Do Supplements for Joint Pain Work? Glucosamine and chondroitin sulfate and are common supplements used for treating pain related to osteoarthritis. However, most research evaluating their usefulness for pain relief or joint damage show either moderate or no improvement when compared with placebo. To confirm one study for glucosamine, research published in the British Journal of Sports Medicine investigated glucosamine supplementation effects on performance ability and chronic knee pain in people with osteoarthritis or cartilage damage. Researchers supplemented either glucosamine or a placebo to the participants for three months at a dose of 2 grams daily. Researchers then conducted four analysis sessions during the study and determined changes in the function and knee pain through practical and clinical tests. Results indicated the joint health glucosamine group to have a significantly better quality of life scores during the 2nd and 3rd months than the placebo group. Self-report assessments of changes during the three month supplementation period showed that 88% of the glucosamine group had some level of knee improvement in their knee pain compared to only 17% in the placebo group. These results imply that glucosamine supplements can offer pain relief and better function in people who suffer from chronic knee pain resulting from osteoarthritis or previous cartilage damage. Essential oils are vital when dealing with joint pain during management. However, you should always use precaution when using these oils since some over-the-counter medication you use might interact with an essential oil blend. Always consult with your doctor for information on any potential drug interactions with the essential oils for joint pain that you are using. It has anti-inflammatory properties that relieve pain and reduce inflammation by ensuring proper blood circulation throughout the body. This oil has analgesic and anti-inflammatory compounds which are excellent for relieving nerve and muscle pain occasionally associated with joint pains. This oil also has anti-inflammatory and calming properties that eliminate joint pain, muscle aches, and relieve stress. Most people consider it as herbal aspirin since it can relieve muscle and joint pains, cramps, and also swollen blood cells that cause issues associated with blood pressure. 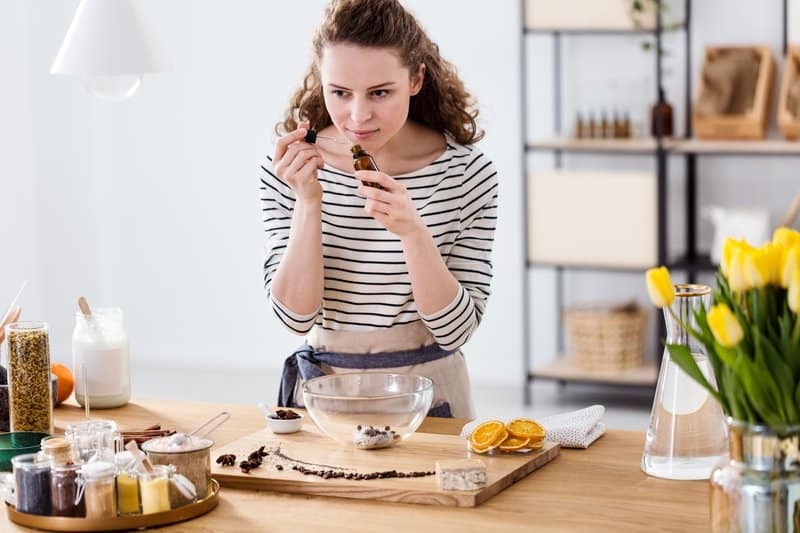 Other essential oils that are also excellent for joint health supplement relief include juniper, turmeric, rosemary, cloves, Frankincense, and thyme. Most people with joint pain consider Vitamin D as the best for joint health. Also, people with low levels of vitamin D may experience more joint pain, especially during exercise. It is also one of the most readily available joint vitamins since our bodies can absorb it from the sun. When combined with calcium, vitamin D protects the joints and builds new joint cartilage. People who suffer from osteoarthritis and consume adequate vitamin D have less joint pains than people who do not. Vitamin C found in most fruits is also one of the best vitamins for joint pain since it promotes healing of damaged joints. Its main benefit is to create collagen, which forms a part of the joint cartilage. Some studies have revealed that vitamin C decelerates the disintegration of slightly damaged joints due to osteoarthritis or other illnesses. Joint health supplements are required in the body for maintaining proper health of the cartilages and joints. Usually, when taken in the right proportions, they reduce the chances of getting diseases associated with joint pains such as osteoarthritis, rheumatoid arthritis, and gout. The best and easiest way to achieve healthy joints is by eating a healthy diet as it helps in building strong bones and muscles. For instance, you should consider eating foods such as milk, yogurt, figs, and almond milk, among others. Such foods can provide adequate amounts of calcium required for strong, healthy bones and joints. Also, daily nourishment of vitamin D will keep your joints and bones. Vitamin D assists in the absorption of calcium in the body from the foods you eat. Taking food products such as dairy products, soy milk, cereals, and almond milk that are fortified with vitamin D can improve and strengthen your joints. If you are concerned about the proper amount of vitamin D or calcium to consume for joint health, visit a professional nutritionist for the best advice. Hyaluronic acid for joints is another substance found naturally throughout your body and nutritionists recognize it as a treatment for stiff joint pains such as those caused by osteoarthritis. The main benefit of hyaluronic acid is to lubricate joints, eyes and the skin. The other advantage is to protect against osteoporosis and improve bone density. Hyaluronic acid supplements benefit people who struggle with joint pain from osteoarthritis or other joint disorders while those who get older use it to treat age-related bone conditions. Hyaluronic acid treatments are available as over-the-counter injections or as oral preparations. Typically, qualified health providers inject the required solution directly to the affected joints. Apart from vitamin C and D which are essential for treating joint pains, several other vitamins such as B, B3, B5, E, and B6 are also helpful. These vitamins can reduce the intensity of joint pains or even stop the pain from appearing. The B class vitamins are good for relaxing the nervous system and by this means reduces pain. 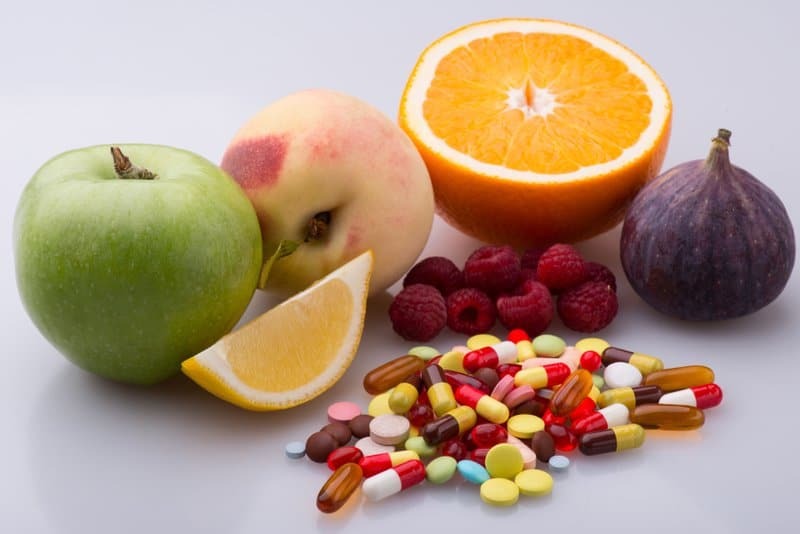 You can consume vitamins for bone and joint health from various food sources, in the form of supplements, and high-quality multi-vitamin. Glucosamine is a compound composed of amino sugars and found and produced naturally by the body specifically in the cartilage. Scientists believe that glucosamine helps in building and maintaining new cartilage, repairing damaged cartilage, alleviating pain, protecting the joints, and reducing inflammation. The first supplement considered by health providers to ease your joint pain is usually glucosamine. Research reveals that it gives relief for mild knee osteoarthritis, and any other joint pains. Glucosamine for joint supplements is available in the form of hydrochloride and sulfate supplements for purchase on over-the-counter pharmacies or even grocery stores. Old people usually have low levels of glucosamine due to its decrease in level as their years advance. Therefore, they should consider taking supplements to restore its loss in the body. 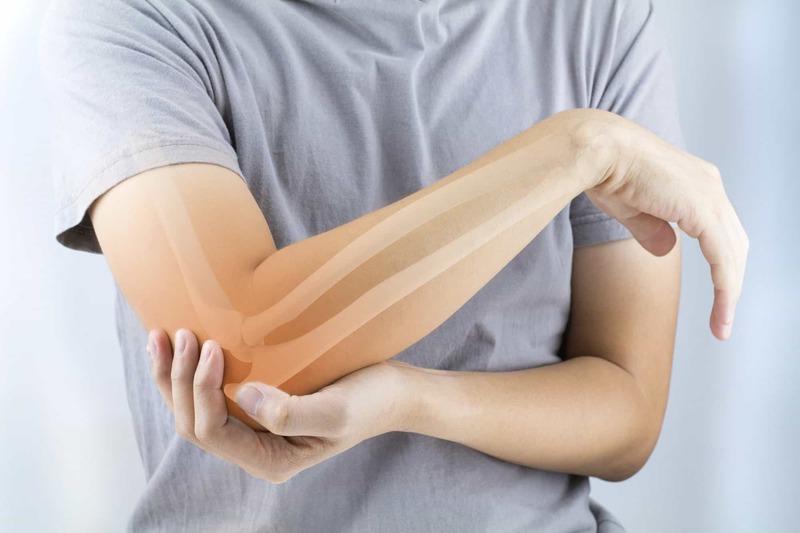 Collagen is a type of fibrous protein that connects and sustains other body tissues such as the cartilage, bone, tendons, skins, and muscles. One of the main benefits of collagen consumption in the body is to relieve joint pain. It does so by maintaining the integrity of your cartilage, which is a strong, rubber-like, and elastic tissue that protects your joints. If you get old, the amount of collagen will decrease in your body, and you will have a high risk of getting degenerative joint disorders such as osteoarthritis. Additionally, some researchers have shown that consuming collagen supplements may reduce joint pain and improve symptoms of osteoarthritis. Fish oil is another popular alternative for joint health since they are rich in omega 3s. The omega-3 fatty acids which include docosahexaenoic acid (DHA) and eicosapentaenoic acid (EPA) have anti-inflammatory properties, useful for joint pain. They also increase blood flow throughout the body which provides essential nutrients to the cartilage, muscle, and bones thus minimizing joint pain and swelling. The fish oil also contains healthy fats which are natural chemicals that maintain healthy joints by repairing and supplementing joint tissues. These natural chemicals also lubricate the joints properly which minimize friction from joints rubbing together, thereby reducing pain. The other main benefits of fish oil include reducing the intensity of joint symptoms such as stiffness, swelling, tenderness, and joint discomfort. Turmeric for joint health supplement has been effective in controlling inflammatory conditions, stiffness, and relieving pain caused by rheumatoid arthritis and osteoarthritis. It has useful anti-inflammatory chemicals such as curcumin and curcuminoids which reduce inflammation. Research also indicates that turmeric works similarly to oft-prescribed non-steroidal anti-inflammatory drugs or NSAIDs. 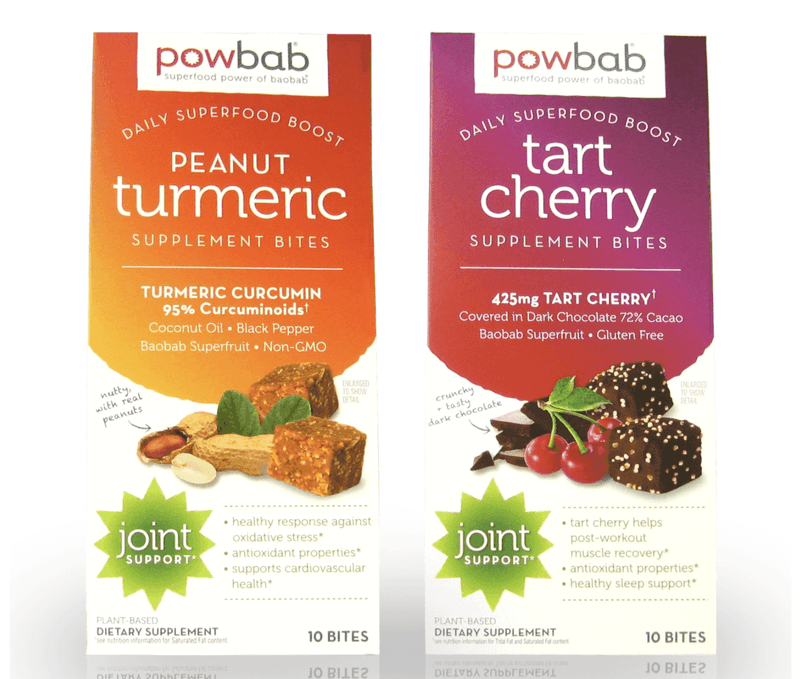 If you’re looking to try a joint supplement with turmeric, Powbab’s bite supplements might be a great option for you! Not only are these bites delicious, but you get to choose between a turmeric curcumin or tart cherry flavor. This joint supplement is organic, non-GMO, vegan-friendly, and free of preservatives. There are various herbal remedies used by many people as natural treatments for joint pain and inflammation using herbal remedies. Certain herbs consist of anti-inflammatory properties that reduce pain and provide relief from rheumatoid arthritis. Burdock contains essential fatty oils which provide anti-inflammatory effects on pain and joints. Stinging nettle is a wicked herb if you are struggling with rheumatoid arthritis and gout or if you are looking for alternative arthritis medication. It has strong anti-inflammatory effects which blend well with its minerals such as calcium, silicon, boron, and magnesium that alleviate pain while building strong bones. Some arthritis patients have also found that massaging an inflamed joint with a fresh portion of a nettle plant relieves joint pain and inflammation. Licorice functions are similar to natural corticosteroids found in the body to reduce inflammation. Licorice reduces free radicals on inflamed joints and prevents the enzyme production that causes the inflammatory process. Other benefits include supporting the releasing of cortisol in the body which suppresses the immune system thereby preventing arthritis and easing the pain. Many people use licorice supplement in the form of tea.